Backup Intelligence can use Windows VSS to back up from a snapshot of your files independent of their current usage. 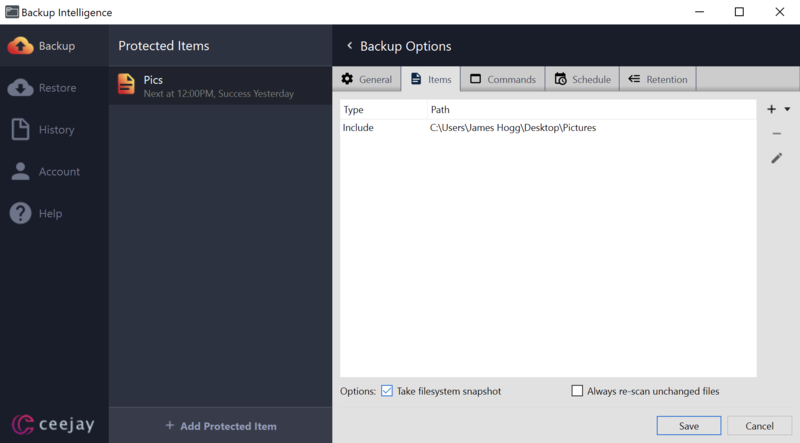 To set this, click the Backup tab on the left and then click the Protected Item with files that are in use, and then click to edit its settings. Now click the Items tab, and you should see the option at the bottom to "Take filesystem snapshot" as shown below. Click to select this, and then click Save to record your new setting. Now when the next backup takes place VSS should allow for a backup of any files that are being used by other applications. This is enabled by default on Microsoft Windows.